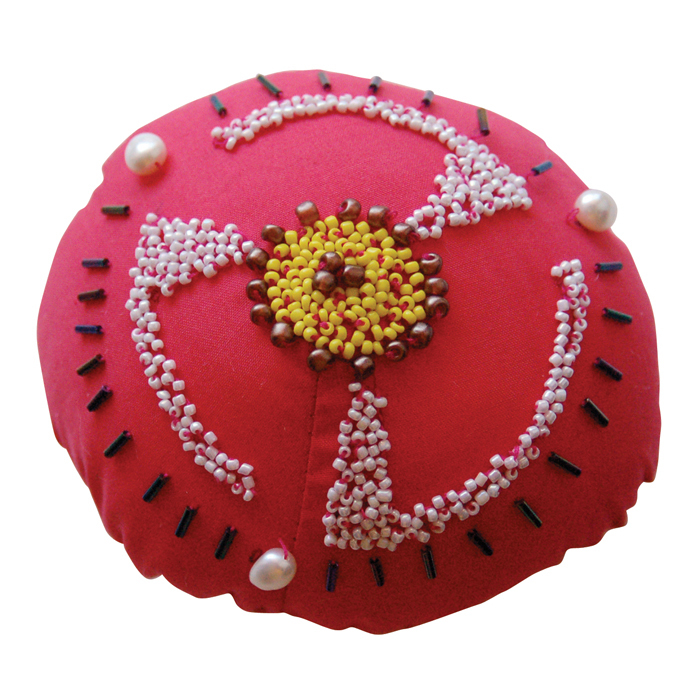 Named after breast cancer survivor Marcia Lorraine Amhowitz, this Badge of Courage celebrates life. Her friend, Jill Kaplan, sent us her story of inspiration and hope. I met Marcia when I was a child. She was our next door neighbor. To this day I am still friends with her youngest daughter, Marla, who is like a sister to me. At a very young age Marcia had an experience with breast cancer that was truly challenging. I am proud to say Marcia beat it and went on with her life appreciating every day. Later on, she met and married Bernie, the love of her life. They were so happy and then tragically one day Bernie died unexpectedly. This was such a loss to all who knew him but especially to Marcia; she was devastated. Sadly, as traumas can do, she had a relapse and this time the cancer came back with a vengeance. Through it all she fought, was always brave, kind and loving. She was an example of walking with Grace up and until the very end. She never complained and always remembered to say she loved you each and every time she saw you. In 2006 I too got the phone call no one wants to get… the you have breast cancer call. At that moment Marcia’s spirit came to me and I was determined to beat this and to hopefully be as ladylike and brave as she was. Whether I was or not I cannot say but she was an inspiration when I most needed one. I am now many years cancer free and I know Marcia is always with me. 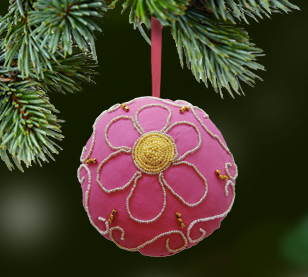 The Marcia L. Amhowitz Badge™ is a tribute to all breast cancer survivors. 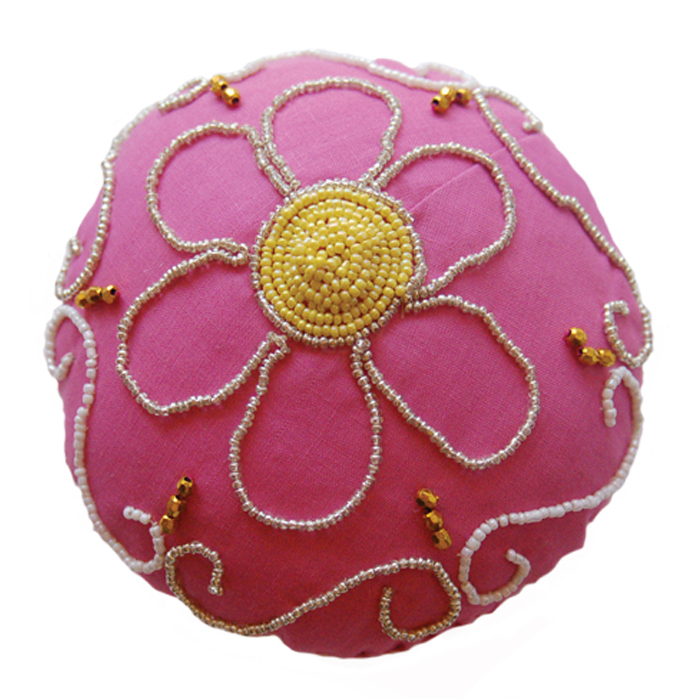 A beautiful beaded flower rests upon pink fabric. Surrounding it are beaded swirls of silver and white glass beads. 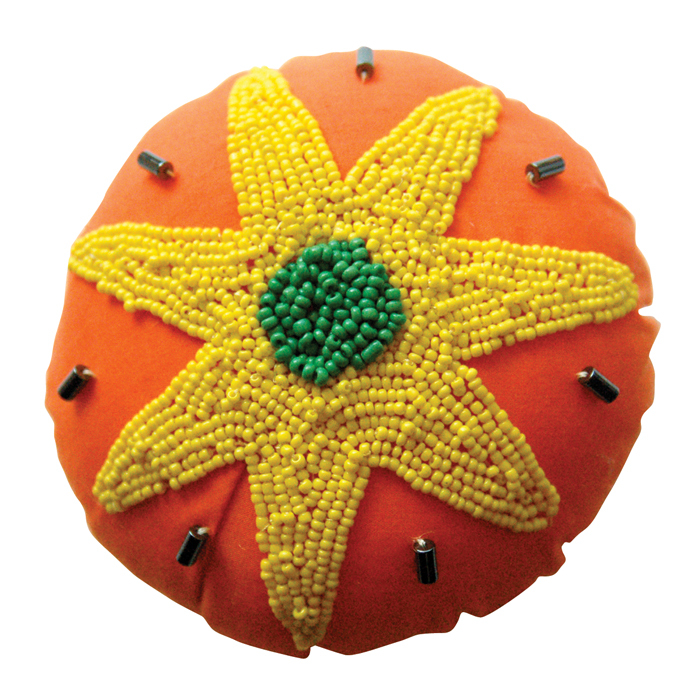 Where they meet, three gold colored beads are sewn, pointing towards the center. The center bursts with color, created by rows of yellow glass beads, celebrating the shape of the female breast. 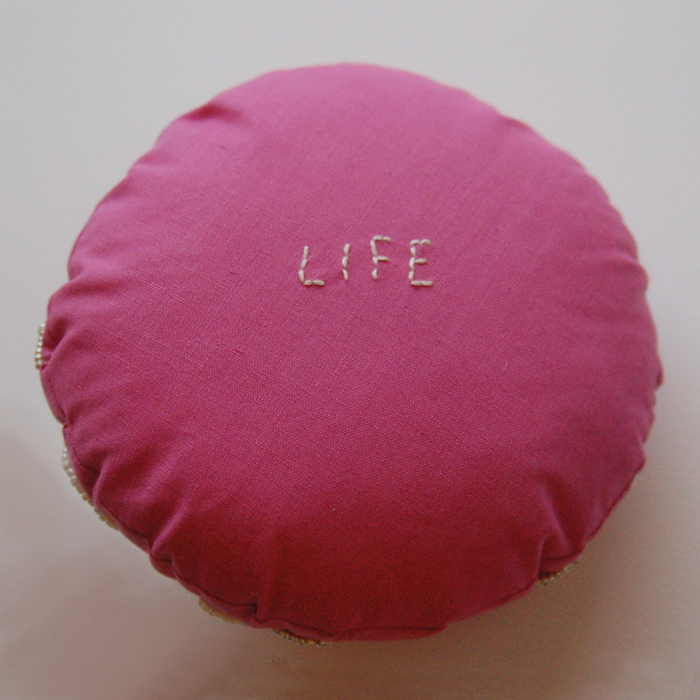 This badge has the choice of the following words hand embroidered on the back: LIFE (Eng. 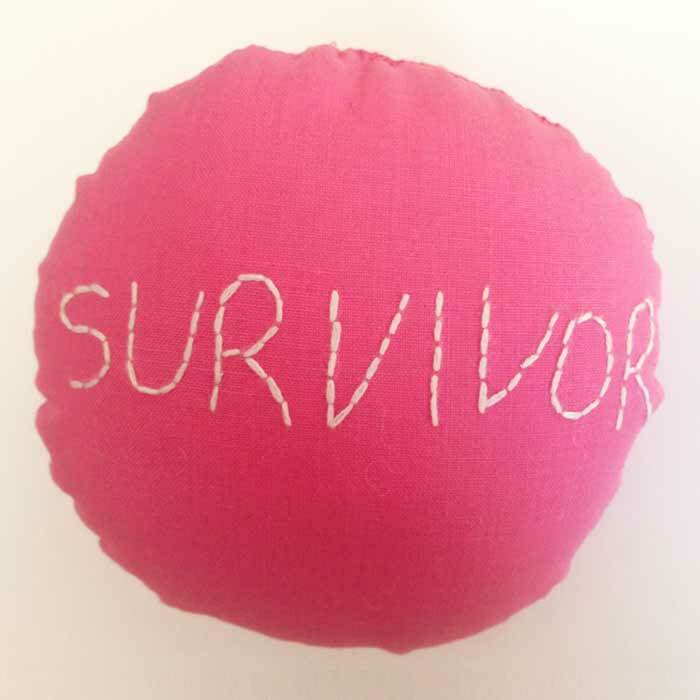 ), SURVIVOR (Eng.) 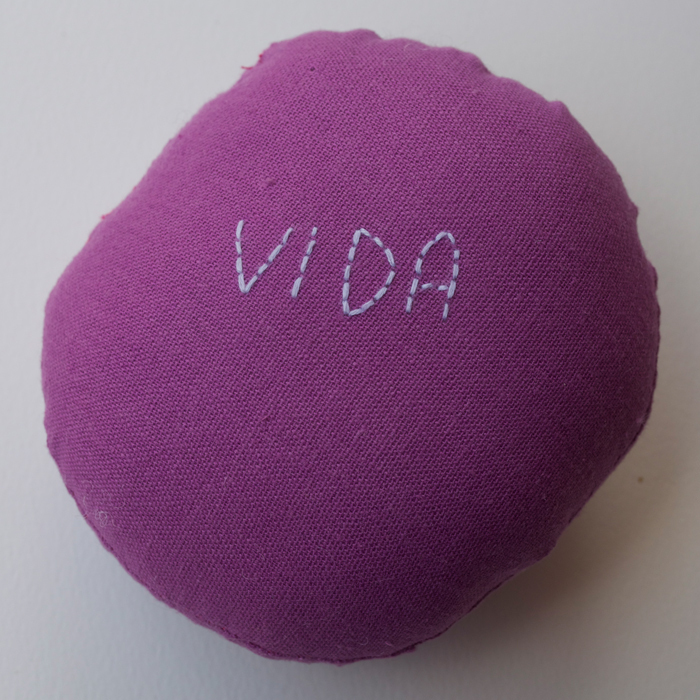 or VIDA (Span. ), giving a tribute to all women. It is available in PINK and PURPLE. 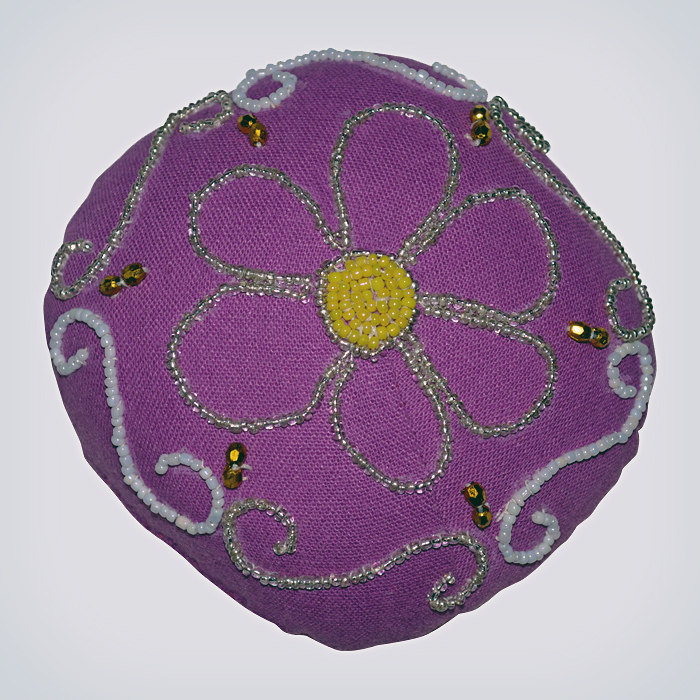 Due to the handmade nature, no two badges are the same. Because of this, some of the embroidered words may be different in color than pictured on this website. 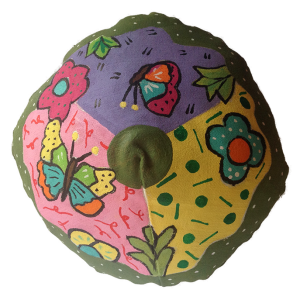 Made in Chile, by women who have been directly affected by breast cancer, they provide a fair wage to women whose work is not exploited, but rather, appreciated.